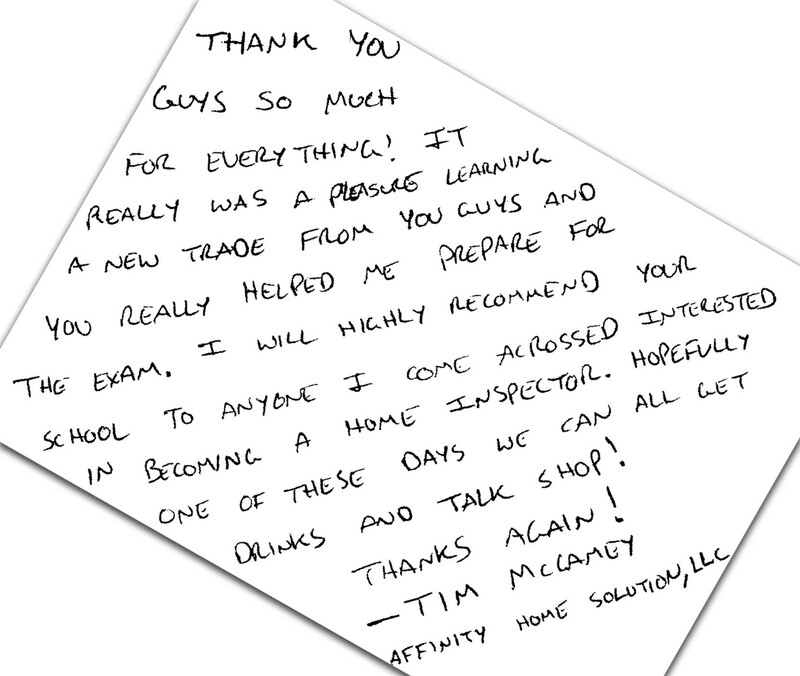 We love teaching Home Inspection, so rewarding to see our students launching their new careers. One of the best parts is the reviews that students have left us, here are a couple of recent ones. I have had to take many CEU and Construction oriented classes through out my career and they have ALWAYS been a drag. I assumed JJ and Suzanne’s class would follow suit and I was completely mistaken. The entire duration of the class I was in tune and actually paying attention to everything I was learning because it was brought to me in such an easy to understand, direct fashion. The flow of the class was superb and I never felt like I was just stuck sitting at a table listening to someone talk. As a licensed professional, everything I learned pertaining to my expertise was satisfactory. This gave me a good feeling when the class had ended that everything I had learned was sufficient and applicable. 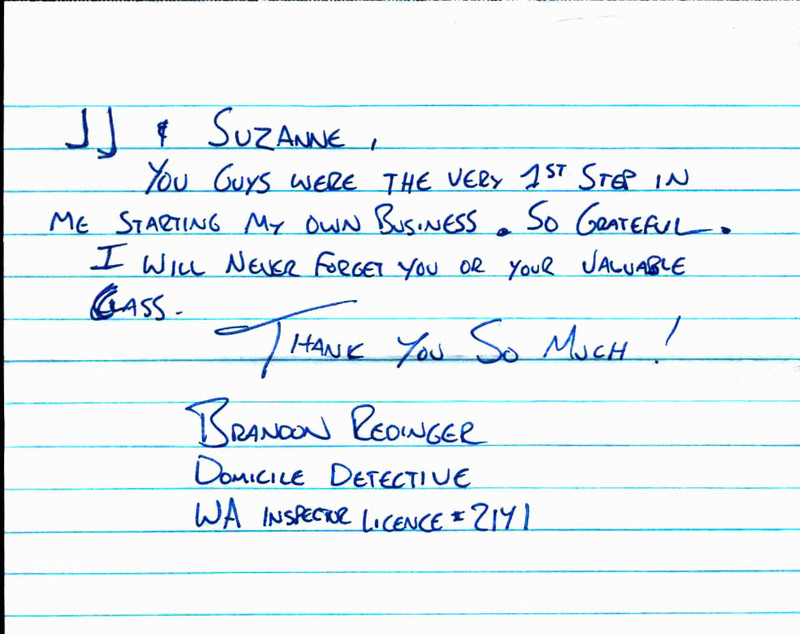 I cannot thank JJ and Suzanne enough and would suggest anyone that is interested in Home Inspecting as a career to start it at the School of Professional Home Inspecting! It’s a bummer Yelp limits me to 5 stars because I feel like they deserve 10, or even more!! JJ & Suzanne are great, they took a 120 hrs of information and got into two weeks. They used there knowledge & experience to create a course that was informative, useful & enjoyable. They maximized our class time with fun quizzes & prizes, food and on site inspection opportunities. 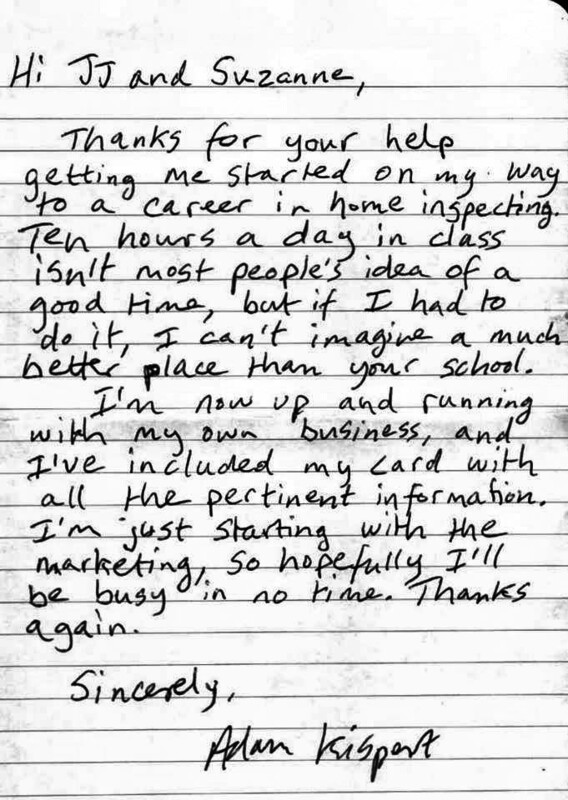 I would recommend SOPHI to anyone interested in a home inspection career. « Congratulations to Class #18!